American Electric Power (AEP) is a major investor-owner electric utility operating in various parts of the United States. It is headquartered in Columbus, Ohio. It serves parts of 11 states, and is currently the largest electricity generating utility in the United States. 7.2 Public nuisance lawsuit: Connecticut v. AEP et al. American Electric Power was a "Chairman" level sponsor of 2011 American Legislative Exchange Council Annual Conference, which in 2010, equated to $50,000. AEP President, Nicholas K. Akins, spoke on "A Smarter Approach to Improving our Environment: Addressing the Costs of Proposed EPA Regulations on Energy Affordability," sponsored by the Energy, Environment and Agriculture Task Force, at the 2011 ALEC Annual Meeting. In December 2015 AEP announced that it would not renew its membership in ALEC. "We reviewed our memberships and decided to reallocate resources to other areas of focus including working directly with the states and other stakeholder groups on issues like the 'Clean Power Plan,'" a spokesperson said. See Corporations that Have Cut Ties to ALEC for more. In addition, two smaller divisions, Wheeling Power Company (serving Wheeling, West Virginia) and Kingsport Electric Power (serving Kingsport, Tennessee), are operated as de facto parts of AEP Ohio and Appalachian Power, respectively. AEP owns and operates the Donald C. Cook nuclear power plant. AEP also bought much of the town of Cheshire, Ohio, after it had become contaminated. The company also operates its own inland barge line, AEP River Operations (fomerly MEMCO Barge Line), and owns major tracts of land throughout its service areas. In December 2011, the organization Public Campaign published a report called "For Hire: Lobbyists or the 99%?" on corporations that have paid more on lobbying than on federal taxes. AEP was fifth: between 2008 and 2010, American Electric Power received a tax rebate of $545 million and made $5.899 billion in US profits, meaning it paid a tax rate of -9%. A 2011 analysis by Citizens for Tax Justice and the Institute on Taxation and Economic Policy, "Corporate Taxpayers & Corporate Tax Dodgers: 2008-10" found dozens of companies, including fossil fuels, used tax breaks and various tax dodging methods to have a negative tax balance between 2008 and 2010, while making billions in profits. A Think Progress analysis of the data found that 32 companies in the fossil-fuel industry -- such as AEP, Peabody Energy, ConEd, and PG&E -- transformed a tax responsibility of $17.3 billion on $49.4 billion in pretax profits into a tax benefit of $6.5 billion, for a net gain of $24 billion. The 2012 Public Interest Research Group and Citizens for Tax Justice report, "Representation Without Taxation: Fortune 500 Companies that Spend Big on Lobbying and Avoid Taxes," noted that while AEP collected $545 million in tax subsidies from 2008 to 2010, it spent $28.8 million over the same period of time lobbying. In May 2007, Forbes listed AEP CEO Michael G. Morris as receiving $13.05 million in total compensation for the latest fiscal year, with a three-year total compensation of $22.03 million. He ranked 3rd on the list of CEOs in the Utilities industry, and 137th among all CEOs in the United States. Executive compensation jumped 30% between 2008 and 2010, from $18,259,623 to $23,721,031. During the same period, American Electric Power has laid off 2,600 workers. American Electric Power is the single largest energy contributor to both Republican and Democratic candidates for Congress. These contributions total $597,881 to the 110th US Congress (as of the third quarter of 2008), the largest of which has been to John Boehner (R-OH) for $25,050. Rep. Boehner, for his part, has consistently voted with the coal industry on energy bills. Between 2009 and 2011, American Electric power spent $579,000 on federal campaign contributions. In addition, it spent $28.85 million on lobbying between 2008 and 2010. American Electric Power also spent $580,000 on Sidley Austin LLP in 2008 and a further $10,000 to date in 2009. The registered lobbyist was Andrew Shoyer. American Electric Power also spent $350,000 on Van Ness Feldman in 2008 and a further $50,000 to date in 2009. The registered lobbyists for the first three-quarters of 2008 were Stephen Fotis, Todd Wooten and Tracy Nagelbush. The registered lobbyists for last quarter of 2008 were Fotis, Wooten, Nagelbush and Robert Nordhaus. The registered lobbyists for 2009 were Fotis and Nagelbush. American Electric Power is a member of the American Coal Ash Association (ACAA), an umbrella lobbying group for all coal ash interests that includes major coal burners Duke Energy and Southern Company as well as dozens of other companies. The group argues that the so-called "beneficial-use industry" would be eliminated if a "hazardous" designation was given for coal ash waste. The United States Justice Department filed a lawsuit in November 3, 1999, against AEP and six other companies for violating the Clean Air Act. On October 8, 2007, AEP agreed to install US$4.6 billion in equipment to reduce emission, as well as pay a US$15 million civil fine. The company will cut 813,000 tons of air pollutants annually once all of the controls are installed. According to the press release, the agreement imposes caps on emissions of pollutants from 16 plants located in five states. The facilities are located in Moundsville, West Virginia (2 facilities), St. Albans, West Virginia, Glasgow, West Virginia, and New Haven, West Virginia (2 facilities), West Virginia; Louisa, Kentucky; Glen Lyn, Virginia and Carbo, Virginia; Brilliant, Ohio, Conesville, Ohio, Cheshire, Ohio, Lockbourne, Ohio, and Beverly, Ohio; and Rockport, Indiana and Lawrenceburg, Indiana. Public nuisance lawsuit: Connecticut v. AEP et al. Connecticut v. AEP et al. involves a federal public nuisance claim filed by state attorney generals and conservation groups against utilities for their large contributions to climate change and resistance to lowering greenhouse gas emissions. The case was dismissed by the district court in 2005 and then reversed by the Second Circuit court in 2009. In 2010, the Obama Administration submitted a brief urging the Second Circuit to reconsider its reversal, arguing that the issue should be addressed by the EPA, and courts should stay out. On December 6, 2010, the Supreme Court said it will hear an appeal from defendant electric utilities, agreeing to consider ending the federal lawsuit by eight states, which asks a federal judge to order reductions in the emissions in plants in 20 states. The American Electric Power Co. and the other utilities do not want courts getting involved in the issue. The companies argue that only the Environmental Protection Agency can set emissions standards. The Obama administration, representing the TVA, want to avoid a full hearing at the high court, saying EPA regulation is a more efficient process than a federal lawsuit. The case will be argued in spring 2011. Justice Sonia Sotomayor, who was on the 2nd Circuit panel that heard the case, is not taking part in the Supreme Court's consideration of the issue. Out of its total 35,843 MW of electric generating capacity in 2005 (3.36% of the U.S. total), AEP gets 69.0% from coal, 22.2% from natural gas, 6.4% from nuclear, and 2.3% from hydroelectricity. AEP owns power plants in Arkansas, Indiana, Kentucky, Louisiana, Michigan, Ohio, Oklahoma, Texas, Virginia, and West Virginia. AEP had 52 coal-fired generating stations in 2005, with 26,595 MW of capacity. Here is a list of AEP's coal power plants with capacity over 100 MW: In 2006 and 2007 coal accounted for 85% of AEP's energy source, and 86% in 2008. Through subsidiaries, AEP owns, leases, or controls more than 9,000 railcars, 726 barges, 18 towboats, and a coal handling terminal with 18 million tons of annual capacity to move and store coal for use in its generating facilities. In May 2010, American Electric Power announced it planned to run 10 small coal-fired power units on a part-time basis starting in June as "the weak economy reduced demand and low natural gas prices have made the use of some coal units less profitable," according to the company. In the previous month - April 14, 2010 - AEP sent letters to all of the company's employees offering to buyout between 1,000 and 2,000 workers. The cuts would reduce the company's workforce, which now stands near 22,000 in eleven states, by up to 10 percent. Meanwhile, executive compensation jumped 30% between 2008 and 2010, from $18,259,623 to $23,721,031. The company said it may turn to layoffs if too few workers accept the buyout. 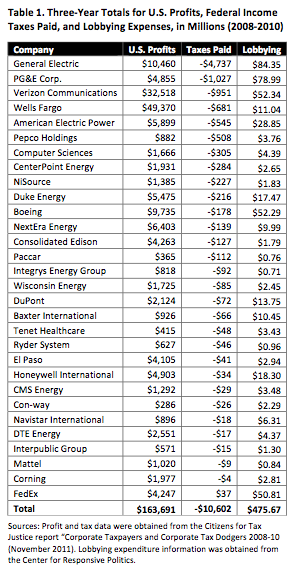 Utility companies Dominion Resources and Duke Energy also announced cuts at the same time. One of the nation's largest Carbon Capture and Storage projects was to have been created as an add-on unit at AEP's Mountaineer Plant near New Haven, West Virginia. On July 14, 2011, American Electric Power said it had decided to table plans to build the full-scale carbon-capture plant at Mountaineer, saying they did not believe state regulators would let the company recover its costs by charging customers, thus leaving it no "compelling regulatory or business reason to continue the program." The federal Department of Energy had pledged to cover half the cost, but AEP said it was unwilling to spend the remainder in a political climate that had changed strikingly since it began the project. A senior Obama administration official said that the A.E.P. decision was a result of the political stalemate on climate change legislation, which failed to pass the Senate. Public service commissions of both West Virginia and Virginia turned down the company’s request for full reimbursement for the pilot plant, operating since 2009. West Virginia said earlier in 2011 that the cost should have been shared among all the states where AEP does business; Virginia hinted in July 2010 that it should have been paid for by all utilities around the United States, since a successful project would benefit all of them. "[The scrubbers are] going to provide a different look to the skyline. The plume will look different," said Phil Moye, spokesman for American Electric Power subsidiary Appalachian Power. "I describe it as a rolling, billowy, cloud-like plume. It's white. It will come from the new stack that was constructed as a part of the project." Under an agreement between AEP subsidiary Public Service Company of Oklahoma (AEP-PSO) and the U.S. Environmental Protection Agency, PSO will retire Unit 3 (473 MW) of its Northeastern Station by 2017, and Unit 4 (473 MW) of the station by 2026. In addition, AEP-PSO will install emissions controls on Unit 4. The agreement does not affect Units 1 and 2, which are fired by natural gas. AEP also said it purchases about 24 million tons of coal from the Powder River Basin each year, or more than a third of the coal used by the company, and that it was unclear how the potential closures would affect the utility’s purchase of coal from the Powder River Basin. At least one of the power plants due to be partially closed, the Welsh Power Plant in Pittsburg, Texas, is entirely fueled by the basin’s coal, according to AEP. The Kammer Plant that is in Moundsville, W.V., another AEP power plant slated for closure, blends the basin’s coal into the mix it burns. The proposed plant shutdowns were announced in a June 9, 2011 press release in which AEP blamed the Environmental Protection Agency for the plant closures and said layoffs of 600 workers would result. Shortly after, on June 27, 2011, the AP reported that AEP spent $2 million lobbying on clean air and clean water rules in the 1st quarter of 2011, according to a disclosure report. On February 25, 2013, AEP agreed to stop burning coal at three of its stations by 2015, updating an earlier 2007 settlement of a lawsuit filed in 1999. The three plants are Tanners Creek Generating Station Unit 4 in Indiana, the Muskingum River Power Plant Unit 5 in Ohio, and the Big Sandy Power Plant Unit 2 in Kentucky. AEP will also give $6 million to the eight states that, along with the EPA and environmental groups, filed the original 1999 lawsuit against it for trans-state pollution. The states are Massachusetts, Vermont, Rhode Island, Maryland, New Hampshire, Connecticut, New Jersey and New York. The company will also provide $2.5 million to citizen groups in Indiana working on air pollution. In response to demands from environmentalists as well as Senator Barbara Boxer (D-California), chair of the Senate Committee on the Environment and Public Works, the EPA made public a list of 44 "high hazard potential" coal waste dumps. The rating applies to sites at which a dam failure would most likely cause loss of human life, but does not include an assessment of the likelihood of such an event. AEP owns 11 of the sites. An engineering report submitted to EPA in November 2009 recommended upgrading the rating of two surface impoundments at the Philip Sporn Power Plant in West Virginia from "poor" to "fair." Engineers from Dewberry, an EPA contractor, said the dams were likely to hold in the event of an earthquake, but that repairs and additional tests were still necessary. EPA said it would consider the recommendations, and AEP said it would conduct further tests at the site. In addition to these investigations, the Department of Environmental Protection also discovered two nearby coal ash dams that officials were not aware existed, and that did not meet state safety regulations. Flint Creek Power Plant ranked number 96 on the list, with 221,456 pounds of coal combustion waste released to surface impoundments in 2006. A report released by EarthJustice and the Sierra Club in early February 2011 stated that there are many health threats associated with a toxic cancer-causing chemical found in coal waste called hexavalent chromium. The report specifically cited 29 sites in 17 states where the contamination was found. The information was gathered from existing EPA data on coal ash and included locations in Alabama, Arkansas, Delaware, Florida, Illinois, Indiana, Minnesota, Massachusetts, North Carolina, North Dakota, Nevada, Ohio, Oklahoma, Pennsylvania, Tennessee, Virgina and Wisconsin. AEP'sthe Flint Creek Power Plant and Conesville Power Plant were noted as having a high level of chromium at their coal waste landfills. According to the report, the Flint Creek coal ash site is a landfill. Hexavalent chromium (Cr(VI)) was reported at the site above 128 ppb (parts per billion) - 6,400 times the proposed California drinking water goals and 1.28 times the federal drinking water standard. AEP's Conesville Power Plant coal ash site is also a landfill. Hexavalent chromium (Cr(VI)) was reported at the site at 100 ppb (parts per billion) - 5,000 times the proposed California drinking water goals and above the federal drinking water standard. On March 18, 2009, the Ohio PUC approved rate increases for two AEP companies, but the hikes are only about half of of what the utility had requested. Columbus Southern Power customers will face a maximum increase of 7 percent in 2009 and 6 percent in both 2010 and 2011. Ohio Power customers will face a maximum increase of 8 percent in 2009, 7 percent in 2010, and 8 percent in 2011. On April 26, 2011, the Office of the Ohio Consumers' Counsel (OCC) and additional customer groups filed a request with the Public Utilities Commission of Ohio (PUCO) to stop the collection of $175 million in electric rates, in response to an April 19, 2011 Supreme Court of Ohio unanimous decision that AEP was unlawfully allowed to increase several rates. The Court ruled in favor of the OCC in agreeing that AEP's 2009-2011 rate plan was unlawful by including $63 million in retroactive rates, $456 million in costs to potentially provide default service for customers who shop for an alternative supplier and $330 million in carrying charges for environmental investments. The groups joining the OCC in the suit include the Ohio Energy Group, Ohio Partners for Affordable Energy, Ohio Manufacturers' Association and the Ohio Hospital Association. The charges ruled unlawful included compensation for AEP's perceived risk as a back-up provider of electricity for shopping customers and carrying charges on environmental investments made prior to Jan. 1, 2009. Both charges continue to be collected from customers, at an estimated rate of $22 million per month, according to PUCO. The Court remanded the two issues to the PUCO for further consideration. Researchers at the University of Massachusetts Amherst have identified American Electric as the 35th-largest corporate producer of air pollution in the United States, with roughly 88 million pounds of toxic chemicals released annually into the air. Major pollutants indicated by the study include sulfuric acid, chromium and nickel compounds, hydrochloric acid, and manganese compounds. U.S. Environmental Protection Agency has named American Electric a potentially responsible party at the Green River Disposal Inc. Superfund toxic waste site. In January 2012, the Environmental Protection Agency unveiled a new website that identifies most of the nation's biggest emitters of carbon dioxide, methane and other greenhouse gases. Three of the twentieth largest greenhouse gas emitters belong to American Electric Power: Rockport Plant, Gavin Power Plant, and the Amos Plant. ↑ 1.0 1.1 American Electric Power Co. Inc., BusinessWeek Company Insight Center, accessed July 2008. ↑ Dan Gearino, "AEP dropping out of conservative lobbying group," Columbus Dispatch, December 8, 2015. ↑ 5.0 5.1 5.2 Indiana Michigan Power, "Annual Report to the U.S. Securities and Exchange Commission for the year to December 31, 2008", Filed March 2, 2009. ↑ "Utility Buys Out Contaminated Ohio Town", Environmental News Service, April 19, 2002. ↑ 12.0 12.1 12.2 "American Electric Power", Center for Public Integrity, accessed July 2009. ↑ 13.0 13.1 Coal-Fired Utilities to American Public: Kiss my Ash DeSmogBlog.com & PolluterWatch, October 27, 2010. ↑ Peter Dykstra and Terry Frieden, "Sources: $4.6 billion settlement in power plant air pollution case", CNN, October 8, 2007. ↑ U.S. Environmental Protection Agency, "U.S. Announces Largest Single Environmental Settlement in History", Media Release, October 9, 2007. The full decrees are here. ↑ "High court will review AEP climate change lawsuit" The Columbus Dispatch, Dec. 6, 2010. ↑ 18.0 18.1 Existing Electric Generating Units in the United States, 2005, Energy Information Administration, accessed April 2008. ↑ "AEP to run 10 old coal units part-time due economy" Reuters, May 27, 2010. ↑ 23.0 23.1 23.2 "AEP to cut up to 10 percent of its workers", "Associated Press", April 15, 2010. ↑ 24.0 24.1 Dan Gearino, "AEP to cut up to 10% of workers", "Columbus Dispatch", April 15, 2010. ↑ 36.0 36.1 Barry Cassell, "Ohio Power seeks Ohio approval for fast retirement of Sporn coal unit" Penn Energy, Nov. 4, 2010. ↑ 37.0 37.1 "AEP would shutter 5 coal plants to meet EPA rules" Coal Tattoo, June 9, 2011. ↑ Jim Polson, "AEP Cuts Amount of Coal-Fired Power Generation It Will Shut," Bloomberg, Feb. 10, 2012. ↑ "AEP drops plan to install scrubber on KY Big Sandy power plant," AP, May 30, 2012. ↑ "Utility's cuts could trim demand for Wyoming's Powder River Basin coal" Jeremy Fugleberg, Star-Tribune, June 12, 2011. ↑ Laurence Hammack, "AEP announces plan to close coal-burning Giles County power plant" Roanoke Times, June 9, 2011. ↑ "EPA's War on Coal" Wall Street Journal, June 13, 2011. 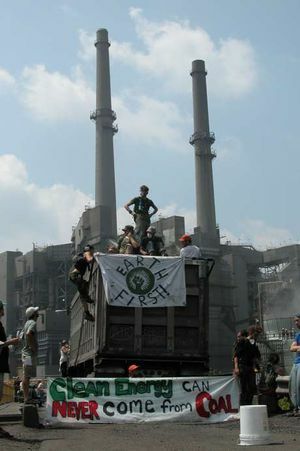 ↑ "AEP protests too much" New York Times, June 20, 2011. ↑ "AEP spent $2 million lobbying in the 1st quarter" Bloomberg, June 27, 2011. ↑ Juliet Eilperin and Steven Mufson, "American Electric Power agrees to close 3 coal plants in emissions settlement," Washington Post, Feb 25, 2013. ↑ 50.0 50.1 Sue Sturgis, "Coal's ticking timebomb: Could disaster strike a coal ash dump near you?," Institute for Southern Studies, January 4, 2009. ↑ 54.0 54.1 54.2 "EPA’s Blind Spot: Hexavalent Chromium in Coal Ash" Earthjustice & Sierra Club, February 1, 2011. ↑ Dan Gearino, "AEP given OK to raise rates in Ohio, but about half what it asked," Columbus Dispatch, March 18, 2009. ↑ "OCC coalition asks PUCO to stop AEP's collection of $175 million in rates deemed unlawful by Supreme Court of Ohio" Office of the Ohio Consumers' Counsel, April 27, 2011. ↑ Political Economy Research Institute, "THE TOXIC 100: Top Corporate Air Polluters in the United States", April 23, 2008. ↑ "American Electric Power", Toxics Release Inventory, RTK Net, 2002. RTK Net is a project of OMB Watch. ↑ U.S. Department of Justice, "U.S. Expands Clean Air Act Lawsuits Against Electric Utilities", Media Release, March 1, 2000. ↑ Annie Sartor, "Who’s Bankrolling AEP, the Coal Company Lobbying for More Coal?" RAN, July 8, 2011. Wikipedia also has an article on American Electric Power. This article may use content from the Wikipedia article under the terms of the GFDL.